We have the Solution for Ugly Pool Deck and Patio Concrete and Coping. Do you have old, cracked concrete pool deck surfaces or newly poured concrete pool decks or patios that need a better look? Let us show you what we can do for your Ugly Concrete Decks and Surfaces! We have been repairing, resurfacing and preserving pool decks, patios and pool coping since 1989 using Kover Krete™. Kover Krete™ is an acrylic pool deck resurfacing system designed for commercial and residential pool decks, patios, walkways and entrances. 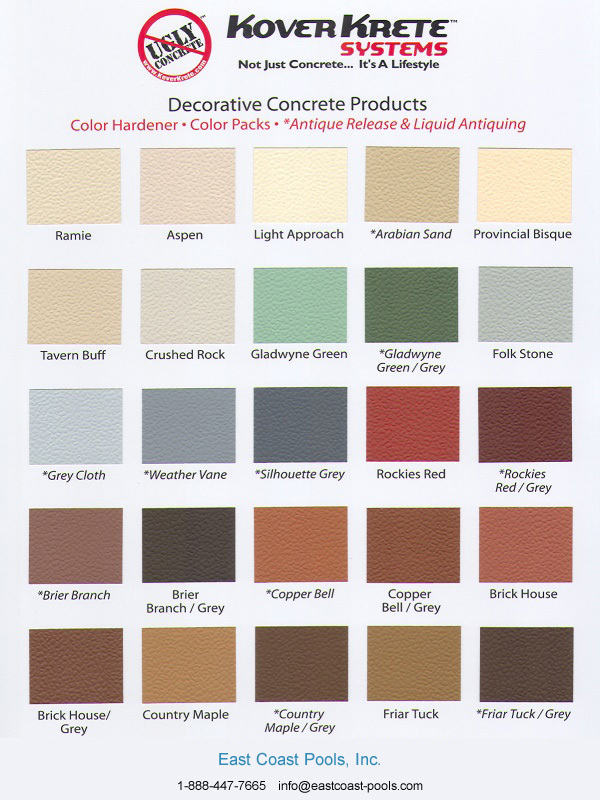 It combines the durability of concrete with the versatility of colors, styles and textures. Kover Krete™ is designed to cover new or old concrete with a strong, long lasting decorative surface. Ideally suited for commercial and residential uses, it levels and restores old pool deck surfaces and adds years of life to new ones. Kover Krete™ lets you enhance virtually any concrete surface at a fraction of the cost of replacement. Create your own design through a wide variety of available colors, styles, and methods of application. Kover Krete Color packs are dry, powdered colorants for use in our dry mix products, such as Kover Krete™ Original (Dry) & Kover Krete™ Instant, as well as Kover Krete™ Stamp Mix. View our color chart for details. 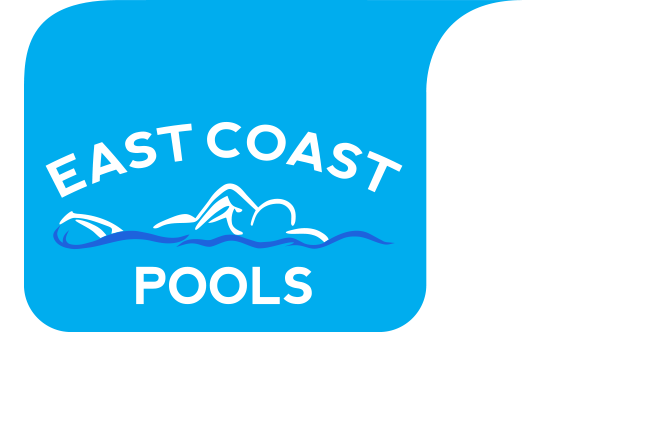 Kover Krete™ and East Coast Pools, Inc. add beauty to any environment! If you have an elevated or suspended pool and need to protect occupied areas below from damaging water leaks then you need East Coast Pools, Inc. and Sonoguard. Sonoguard is a time tested product that will waterproof, beautify and enhance the value and life expectancy of your concrete pool decks and surrounding surfaces. Regardless of how many or how large the cracks in your concrete pool deck are, they can be repaired and waterproofed with Sonoguard. Sonoguard can be applied interiorly or exteriorly to create a 100% waterproof nonskid traffic bearing membrane system for vehicular and pedestrian areas. Sonoguard comes in a variety of colors and several methods of applications depending on the customers’ needs. This swimming pool deck continuously leaked water into the ballroom below until the pool decking was professionally resurfaced by East Coast Pools, Inc. using Sonoguard.